Now, they still look barely good, they polyurethane is almost gone. I know how to fill in some slight cracks with wood filler. I'd like to do the refinish on my own, since I'm going to have a good amount of wear and tear thanks to the dogs. For starters, how many square feet have to be done, is it in an area where you could open the windows or where you would rather not open the windows? how much furniture would have to be moved, how long could the room(s) be out of service? Some sanding will be necessary as liquid or gel stripper still needs a final smoothing. Do you have a belt sander, or could you rent one? I have about 800 sq. feet., but I'd just do room to room, so it's small areas and no rush. If gel stripper needs a fine smoothing, that would defeat the purpose. I could rent a belt sander, I'd just need some help getting started. I'm trying to avoid using it if possible. if you rent the orbital floor sander (as opposed to the drum) you can't really mess it up. It'll take longer, however. But if you're just wanting to refinish and not necessarily go all the way to the wood, that may be the right tool anyway. A hand held belt sander is NOT the right tool. Agreed. I'd suggest the big flat sander rather than either belt or orbital (if he is talking about a small orbital). The one with a plate around 12" x 18". With a fine screen rather than paper with grit. You definitely do NOT want a belt sander, either hand held (too slow) or floor type (unless you are used to using one you will dig divots into your floor). Note that if you are putting on more than one coat of poly you will have to either sand between coats - OR - apply additional ones after the first has set but before it cures. About 4 hours between coats to avoid sanding. Yes. I got to thinking last night and it really depends on what he's working with. A light sanding might be all that's needed. Depends on the condition and how much poly is on the floor. Minwax does make a poly finish that claims "no sanding" between coats. I used it and didn't sand between coats. Followed the directions and it came out real nice. +1 on the divots. I was even warned about them and I was real careful but I still had them. Took a lot of sanding with the orbital to get them out. I don't think I'd use a belt sander. They dig in real quick and is going to give you an uneven result. The belt sanders I've used were for removing the finish and the stain. Then you hit it with the orbital. If you want to remove the finish just use a orbital with a lot of sandpaper. Start with coarse and finish with fine. Don't go past the stain unless you want to re-stain too. Stripping can be a worse job than the sanding. You may want to experiment on a small area. I'd give it a light sanding and give it a coat or two of poly and see how it works out. It may be acceptable for a few more years. You may also want to invest in a nail clipper for the dogs too. Why do you say stripping is worse than sanding? I'm trying to avoid kicking sand on the walls, and most importantly, using a sander incorrectly. The floors are even, so I'm hoping the poly could bond after the gel was used. Stripping can be messy, smelly, and time consuming. You will still probably need a light sanding after anyway. I've done some furniture outdoors, but I'd not want to be down on the floor doing it. Depending on how bad the floor is, a light sanding with a random orbital hand sander may be enough to let the new coat of poly stick and the poly will fill in the small voids and give a decent finish. You can also put down some cheap laminate that is very durable, they pull it up and toss it once the dogs are gone or if you move and want to show those hardwood floors as a selling point. That machine does look easy to use, and the video is really helpful in terms of seeing it in action. I'd rent a sander. One similar to this with LOTS of sandpaper. yes, perfect tool. The orbital. And the rental joint will have the paper, let you take as much as you want, and only pay for what you use. I used a similar sander rented from Home Depot. The results were excellent. One floor was new wood, and one floor was 55 year old Red Oak being refinished. It was a very time consuming job. Before getting started, use a wood moisture meter to make sure the wood is not wet. Any wood floor project is doomed if you have a wet crawlspace, wet basement, wet sub-floor, roof leak, or leaky plumbing that is making your wood floor damp. The orbital sander is very slow compared to a drum floor sander. But the odds of getting it just right with a drum sander in the hands of someone with no experience is very low. You will also need to rent an edger sander for the edges of the floor, and closets if any are involved. I tried using a Ridgid $100 general purpose belt sander on the edges, and it didn't quite cut it. For the corners, my Harbor Freight Multi-Tool sander worked well. I recommend removing base boards prior to starting the sanding job, so getting the finish against the base boards will not be an issue. If you don't remove the base boards, you will probably need to install a toe strip after the job is done. If the floors are rough enough to need much wood filler, you will need to sand it all down to bare wood. If you need to do that, start with 20 grit. After the initial sanding, apply the wood filler, troweling the entire floor if needed. Next sand with 36 grit, or re-sand with the 20 grit if the wood filler coat is thick. Then, one grit at a time (36, 60, 80), work your way up to 100 grit. Do not use 120 grit, that can actually seal the grain and keep it from accepting the stain. Don't skip any grits! Unless sanding marks and shortened finish life are something you desire. You will need a high quality vacuum with a dust free exhaust to get the sanding dust off the floor prior to applying stain and final finish. I opted for the Ridgid WD1250 from Home Depot, with the very expensive but not quite HEPA filter. Make sure you use a wood filler that is compatible with your chosen stain and finish. Stay away from the consumer level big box stuff for your filler, stain and finish. Woodwise is a popular wood filler choice. I went with Bona Pacific wood filler, since that was the brand of finish that I chose. After sanding is done, decide if you want natural or stained wood. Application of stain is easy. Be sure to use a stain that is compatible with the final finish. I used Bona Dry Fast, for guaranteed compatibility with the Bona Traffic final finish. Have a good supply of old cotton freshly laundered garments, old t-shirts are great, as are old tighty whitey undershorts. Do not use any fabric softener or drier sheets when laundering the stain rags. Work quick, apply the stain, then wipe the excess off with a clean and dry cotton rag. Do not sand the stained floor. After the stain is dry, tack with a slightly dampened microfiber mop or clean rag. Now you are ready for the finish. This is a good time to mention that bad pet stains will not sand out, ever. Your choices are: live with the pet stain (which can include a strategically placed throw rug), replace the wood, or try to make the pet stain less noticeable by using a dark wood stain. If you opt for natural wood (no stain) you will need to apply a sealer prior to applying the first coat of the final finish. For the finish I specifically and strongly recommend Bona Traffic. About $100 per gallon, and you need three coats, and it only covers 350 to 400 SF per gallon, per coat. It is also worth every penny. Bona Traffic is the hardest and most durable finish on the market, and as a bonus it is relatively easy to apply. It is not sold in big box stores, and intended for professional use only, so you will have to order it on the web. Don't expect Bona Traffic to look better than cheaper finishes, because it won't. The reason it commands the most expensive price is its unmatched durability. Three coats of Bona Traffic gives you a true commercial grade finish for high traffic businesses. If you don't have children or pets, with normal care you could expect Traffic to look great for decades in a private home. To use Traffic successfully, during finish application you must control humidity and air flow, including drafts from exterior doors. Do not open windows and do not allow your heat or air conditioner to run while applying Traffic, or during the 3 hour dry time. Avoid applying when humidity is at either extreme, very high or very low. Mix the Bona with the included hardener (like epoxy, but Bona Traffic is water based). You have 3 or 4 hours to get the finish on the floor once it is mixed with the hardener. It applies quick, and I had the finish on the floor in less than one hour per room. Apply the Traffic with a 1/8 inch Purdy White Dive paint roller. Pour the Traffic directly onto the floor, and LIGHTLY spread it out with the roller (you will need a 5 foot roller handle). Use a paint cut in pad applicator for the corners and around door frames. Important! Apply at the recommended 350 to 400 SF per gallon. Do not allow any major air movement or drafts. Otherwise, the finish will dry too quickly and will not self level, and there may be bubbles in the finish. You would then have an expensive mess on you hands. No need to sand between the first and second coat. Apply the second coat 3 to 4 hours after the first coat. Do not use Traffic on the second coat that was mixed for the first coat. Do not walk on the first coat with shoes. Freshly laundered socks only, when walking on the first coat to apply the second coat. Compared to the earlier floor sanding, intercoat abrasion is easy with Traffic. Sand between the second and third coat only, and even that is optional. Sanding Traffic is mandatory only if more than 48 hours passes between coats. You will get a smoother final coat if you sand between the second and third coats. If you decide to sand, let the second coat dry 8 to 12 hours. 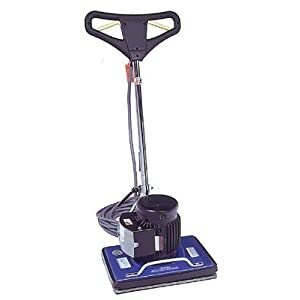 Don't use a sanding machine, get a pole sander, one made for drywall installation. Use 220 grit sanding screen (not sand paper!). No need to knock yourself out. Sand lightly, then tack with a very slightly damp lint free rag or microfiber mop. I would still avoid shoes, and go clean socks only on the floor. After the third Traffic coat is applied, the floor will be 90% cured in three days, 100% in 7 days. Don't move furniture back into the room until the floor is 100% cured. I gave mine two weeks, just to be sure. Due to spam, I'm filtering all Google Groups posters. Nice job, Tony. I bet your floor looks real good. Probably made the OP's head explode reading this. I've only got a couple comments. Had pros do mine. I had some dog piss stains I thought wouldn't come out. Sander didn't know either. They disappeared. Probably weren't as deep as they looked, or had just discolored the old varnish. So don't abandon hope. The drum sander got about within about 1/2" to the walls. Second guy got on his knees and used a hand pad sander along the walls. I didn't get a close look at what he was using He was young and strong. Didn't take him long at all. It all matched up. Something to consider and maybe try first. I try to remember what the pros do. To be clear on the base/shoe and door casings, think hard about that before you start. We ended up replacing ours after the job, to match the floor. And had to deal with ridge lines. At minimum I'd remove shoe before sanding. Only other thing I'll add is about black nail mark holes from carpet grab strips or any nail that stains the floor. They won't sand out. I have some of those black marks, but not enough to care much. Somebody here had the best idea. Drill them and fill with 1/8" dowel before you sand. A few project photos here, and one finished photo, for anyone that wants to see it. My house has the 2 inch wide strip Red Oak, face nailed, not tongue and groove. Apparently that was common in the 1950's, in modest ranches like mine, in my part of the country. I put down all new wood in the living room and used the good wood salvaged from that room to repair the hall way and three bedrooms. My house was a repo, and there was substantial pet damage to the floor. LOL. I do tend to ramble on. Pro is the way to go if you don't mind spending the money. Glad that a pet stain came out for you. Was it light or dark? All the pros I talked to assured me that the dark stains don't sand out. I left a small quarter sized stain in my bedroom, partly as a test and partly because I was sick of replacing wood. Also, it is located under the bed. The stain did not sand out. What I really hated were the copper carpet staples they used all across the floor, in ridiculous quantity. I cursed the installers and their mama. Thanks for the photos. The floors came out great. For the new floor that you did in the living room, what type of wood did you buy, and what did you use for the finish? I assume that you did not stain the new wood that you put down before finishing it, but if I am wrong about that. let me know. I am interested in putting down a new hardwood floor in an apartment and I would like the color to come out like what you did in your living room. I did one before in the apartment below and I think I used Red Oak Select #2 from Lumber Liquidators, but I am not sure. Then I had a hard time finding any kind of finish that resulted in a color that is similar to what you produced in your living room. I don't like to admit it, but I finally ended up using something called PolyShades (Pecan) which is a stain an polyurethane in one, but which really isn't supposed to be used on floors. I used it anyway because it was the best result that I could find (I did lots of test samples with the left over hardwood pieces). It ended up coming out pretty good, but I think that if I had made a better pick of wood and finish, it could have come out better. So, any details that you can provide of what you used in your living room would be appreciated. I replaced the living room floor with wood of the same species and dimension as the original, Red Oak 2" x 5/16" strips. I bought 210 SF of Select and Better from the Lebanon Oak Flooring factory in Lebanon KY. Cost was $510, picked up at the factory. Tongue and groove doesn't come that thin, and changing the floor height would have meant changing thresholds and door heights. I also considered all the wood floors through the house having a similar appearance to be a plus, but that is just my own preference. The floor is stained, it is Bona DriFast, the color is Cherry. Only one coat of stain. It is a very light red, so light I was worried about the floor looking pink. The color looks good on Red Oak, and to my relief it did not turn out the least bit pink. That probably came out looking fine, but I think it might not be a sturdy and long lasting floor finish. Just my opinion here, but when I do a DIY project, I tend to splurge on quality materials. I figure I am already saving a ton of money on labor, so I like to buy upper end materials. Tearing out hardwood floor and subfloor; what about under plaster walls? patching hardwood floor and re-finishing??? 2 sets of joists, 2 floors! How to replace top hardwood?